Why Do We Keep So many Things? Clean it out. Today I cleaned some stuff ou out from the stage space under my bed. 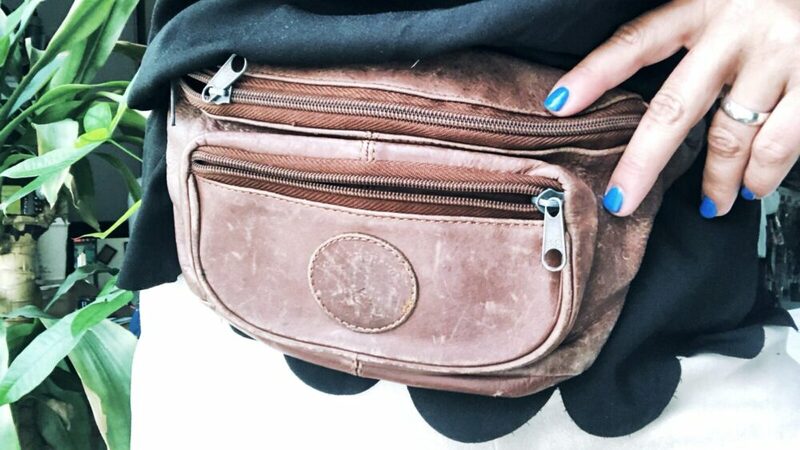 Every single time I do this it’s a mix of ‘why am I keeping this crap’ and ‘oh my God look what I found!‘ Like this great leather hat and vintage leather fanny pack lol. We keep all kinds of crap and take it around with you, different houses, relationships, but you should really just let it go, clean it out. Why do we keep so many things? I’m on a mission to cleanse everything from my life that doesn’t give me joy. Marie Kondo your life kinda thing. I did this a couple years ago after a great trip to LA. I came home refreshed with renewed self-worth and energy to go confidently in the direction of my dreams. I find, one of the best ways to cleanse out your internal demons is to get rid of crap around you in the physical world. It is so cathartic to throw things down the laundry shoot, in the garbage or toss in the bins at the dump (a personal fav!). After that LA trip I was pretty dedicated to yoga 3-4/week and eating better, but as time went on, I travelled heaps, got off my path and hardly went to yoga this year (or hardly worked out at all tbh). You can’t hate yourself for it though, life happens! You always have the ability to start something today, shift your perspective, take a new outlook, or make a change. Your life is your movie and you are the director, You decide what you do and how you handle the situations life hands you. NO excuses. This summer, I started actually going to the gym and even booked a trainer for 6 months. I started wakeboarding (ok I went once but I did it!). I went rock climbing. I’m drinking less. It feels less like work and more like a challenge when you stick to your goals. I am in no way perfect or really great at this but I’m trying. I try every day and some days I’m really off my game, but that’s ok. The important thing is to keep trying. If you’re looking for some motivation, start with clutter around your bedroom, house, kitchen, and clean it out this weekend. You’ll feel heaps better! Tonight I am going to Diner en Blanc and I really hope it doesn’t rain! Previous Post Sometimes you just need a break.